Scottish Enterprise - This is Scotland’s main economic development agency and a non-departmental public body of the Scottish Government. To deliver a significant, lasting effect on the Scottish economy, they work effectively with partners in the public and private sectors to identify and exploit the best opportunities. ETAG - This is the umbrella organisation for the tourism sector in Edinburgh. Their aim is to create a strong tourism community that works together to deliver growth for your business, a great experience for the visitor and economic benefits for the city and Scotland as a whole. Event Scotland - Working to make Scotland the perfect stage for events. Through funding and developing an exciting portfolio of sporting and cultural events EventScotland is helping to raise Scotland’s international profile and boost the economy by attracting more visitors. Creative Scotland - Creative Scotland is the public body that supports the arts, screen and creative industries across all parts of Scotland on behalf of everyone who lives, works or visits here. They enable people and organisations to work in and experience the arts, screen and creative industries in Scotland by helping others to develop great ideas and bring them to life. They distribute funding from the Scottish Government and The National Lottery. Scottish Government - The devolved government for Scotland has a range of responsibilities which include: health, education, justice, rural affairs, housing and the environment. Culture, creativity and a rich, diverse heritage sit at the heart of Scottish life and play a critical role in the economy, communities and almost everything we do. The Scottish Government is committed to supporting, developing and advocating Scotland's culture, heritage and creativity, and ensuring that culture reaches a wide audience at home and abroad. Essential Edinburgh - To ensure that Edinburgh city centre excels as a place to work, a place to do business, a place to shop and a place to visit. Marketing Edinburgh - Marketing Edinburgh is the organisation dedicated to promoting Edinburgh to the world. They promote and champion Scotland's capital city locally, nationally and internationally. They work with their members, partners and stakeholders to maintain the profile of Edinburgh as a world-class destination to visit, invest, live, work and study. Artlink - Artlink is an innovative arts organisation that tackles inequalities. They use involvement in the arts to build individual potential and address social issues that affect some of the most marginalised people in our community. They bring people from very different backgrounds together to work in creative partnership and promote practical change within our communities. They work with a wide variety of partners in the arts, health and social care as well as collaborators who have lived experience of disability, their carers and families. Together they ensure that the artistic practice is of the highest quality and remains relevant to ever-changing needs and aspirations. Capital Theatres - Capital Theatres operates three busy theatre venues in Edinburgh: the Festival Theatre, the King’s Theatre and The Studio. Operating as a registered Scottish charity, they present world-class shows to entertain and inspire audiences of all ages. Centre for Moving Image (The Filmhouse and the Edinburgh International Film Festival) - Scotland’s leading independent cinema, celebrating world cinema in all its brilliance and diversity. Filmhouse is home of the Edinburgh International Film Festival. Collective Gallery - The Collective Gallery has been fundamental to the cultural vitality of Scotland by supporting new work by artists who are at a pivotal stage in their development. They provide artists with the opportunity to make new work and audiences the chance to see it there first. Their programme of exhibitions, walks, events and off-site projects presents contemporary art in all its diversity. They create opportunities for participation, mutual learning and dialogue by opening out processes of art production, connecting with other fields and encouraging new developments. Dance Base - Dance Base is on a mission to get more people dancing. The organisation exists to encourage and celebrate the potential for dance in everyone. Their mission, as a National Centre for Dance in Scotland, is to offer a vibrant and uplifting focal point for dance as an art form, a way to exercise, and a way of life. They reach out to inspire wellbeing and creativity, and cultivate a future for dance in local, national and international communities. Drake Music Scotland - Drake Music Scotland is the nation’s leading arts organisation providing music making opportunities for people with disabilities. Their expertise in inclusive music technology and specialist teaching methods support people of all ages and a wide range of disabilities to play, learn and compose music independently. Edinburgh Art Festival - Edinburgh Art Festival is the platform for the visual arts at the heart of Edinburgh’s August festivals, bringing together the capital’s leading galleries, museums and artist-run spaces in a city-wide celebration of the very best in visual art. Each year, the Festival features leading international and UK artists alongside the best emerging talent, major survey exhibitions of historic figures, and a special programme of newly commissioned artworks that respond to public and historic sites in the city. Edinburgh Festival Fringe Society - For three weeks in August the Edinburgh Festival Fringe opens the doors, streets and alleyways of an entire city to an explosion of creative energy from around the globe. The Edinburgh Festival Fringe Society is the organisation that underpins the Edinburgh Festival Fringe. The founding principle at the heart of the Edinburgh Festival Fringe is to be an open access festival that accommodates anyone with a desire to perform and a venue willing to host them. No single individual or committee determines who can or cannot perform at the Fringe. The Fringe Society is the custodian of the Fringe’s core values of open access and freedom of expression. Edinburgh International Book Festival - The Edinburgh International Book Festival is one of the largest public celebrations of the written word in the world and a key event in the city’s festival season. For 17 days every August it brings together over 900 writers, poets, politicians, illustrators, musicians and thinkers from around the world to share stories and ideas and discuss the things that shape our lives. From Nobel prize-winners and household names to the literary stars of tomorrow, the Book Festival offers an inspiring and surprising range of events for all ages, from babies to adults. Around 240,000 visits are made to the Book Festival’s home every year, a specially created tented village in the leafy green space of Charlotte Square Gardens and along the west end of George Street, in the heart of historic Edinburgh – the world’s first UNSESCO City of Literature. Edinburgh International Festival - Established in 1947 as a world class cultural event to bring together audiences and artists from around the world, the International Festival is about the people who come together here in Edinburgh to create incredible experiences. Together they are a state of the art, world class cultural event which over its 70 years has gone from strength to strength. As such a vibrant, innovative, energetic organisation, the International Festival contributes to many aspects of life, be it cultural and economic, education and society and enhances the lives of people not just in Edinburgh and Scotland, but around the world. Edinburgh International Harp Festival - Established in 1931 at the close of the National Mòd in Dingwall, the Clarsach Society’s main aim is to promote the clarsach and its music in Scotland and in the wider world harp community. This is done through regional Branches throughout UK and one special interest Wire Branch by organising events, courses and classes to suit the particular needs and enthusiasm of Branch members in each area. Edinburgh Science - (formally the Edinburgh International Science Festival), was founded in 1989, is an educational charity that aims to inspire people of all ages and backgrounds to discover the world around them. They are best known for organising Edinburgh’s annual Science Festival: the world’s first public celebration of science and technology and still one of Europe’s largest. Edinburgh Jazz & Blues Festival - The Edinburgh Jazz & Blues Festival (EJBF) is Scotland’s flagship jazz and blues event, attracting audiences of 70,000 people with a distinctive, world class programme that appeals to a broad range of the public. In addition to its programme of around 150 concerts over ten days annually in late July. The Festival promotes the Edinburgh Festival Carnival, The Mardi Gras and is developing education and participation programmes and community projects. Edinburgh Printmakers - Established in 1967 as the first open access studio in Britain, Edinburgh Printmakers is an organisation dedicated to the practice of fine art printmaking. They are committed to providing high quality, low cost printmaking facilities for artists. Edinburgh Sculpture Workshop - Edinburgh Sculpture Workshop brings together professional artists, first-time participants, adult learners and young people on their learning and education programmes. Edinburgh UNESCO City of Literature - The Edinburgh City of Literature Trust is a development agency for Edinburgh as a City of Literature, sharing Edinburgh’s astonishing literary legacy with the world, telling the story of the city’s history. The Trust advocates literature as a civilising influence globally, and curates literary listings to show the public what’s on. Festivals Edinburgh - Building on a culture of collaborative working the Directors of Edinburgh’s leading Festivals came together in 2007 to formally establish Festivals Edinburgh with a mission to support Edinburgh’s Festivals in sustaining and developing their position as the world’s leading festival city through development and delivery of collaborative projects and initiatives which support growth, product development, leadership and audiences and acting on behalf of and representing the collective strengths of the Edinburgh Festivals. Imaginate - Imaginate is the national organisation in Scotland, which promotes, develops and celebrates theatre and dance for children and young people. They want more children in Scotland to experience work that is deeply engaging, innovative and inspiring. They believe that all children deserve the opportunity to develop their creativity, emotional intelligence and reach their true potential. Lung Ha Theatre Company - Lung Ha Theatre Company has a sixty strong team of performers with a learning disability. The Company has worked with over three hundred performers with a learning disability creating over forty original productions. They have worked with some of the leading artists and creative organisations across the country and also toured internationally to England, France, Ireland, Poland, Sweden and Finland. Music in Hospitals & Care Scotland - MiHC is a UK charity, founded in 1948. They bring interactive live music sessions to people who are receiving care or treatment in healthcare settings across the UK. They aim to make people feel good, one tune at a time. Their live musical sessions are designed to humanise clinical settings, to reach and connect people, to encourage communication and meaningful interactions and to elicit emotions and memories when it matters most. North Edinburgh Arts - North Edinburgh Arts offers local residents a place to relax, explore, learn, meet, share, volunteer and have fun in. Over 17 hours of creative workshops are on offer each week, most with a family focus, alongside a wide range of other events from singing groups, to dance shows, circus skills workshops, community theatre to film clubs. The venue is also home to Licketyspit Theatre Company and Muirhouse Youth Development Group, both reaching out to the most disadvantaged children and families in the area. Puppet Animation Scotland - Founded in 1984, Puppet Animation Scotland champions puppetry, animation and visual theatre both in Scotland and internationally. They produce two festivals; manipulate Visual Theatre Festival and Puppet Animation Festival, each year. 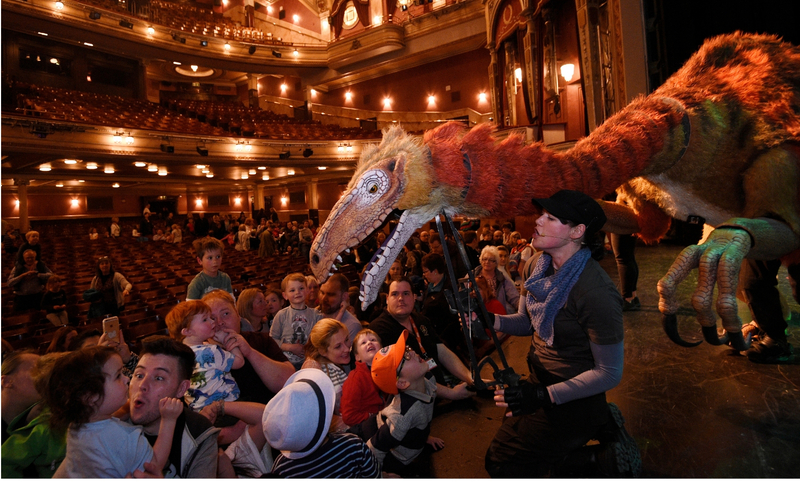 Their aim is to bring quality puppet theatre, animated film and workshops to all children across Scotland every Easter. Queens Hall - The Queen’s Hall is Edinburgh’s premier independent mid-sized live music venue, hosting world-class artists from all musical fields: classical, jazz, folk and roots, rock and pop and Americana. Royal Lyceum Theatre Company - The Royal Lyceum Theatre Company is Scotland’s leading producing theatre. With a strong reputation for excellence in classical, contemporary and community work. The Lyceum is committed to developing Scotland’s considerable indigenous talents while presenting the best of international drama. Royal Scottish National Orchestra - The Royal Scottish National Orchestra is one of Europe's leading orchestras with a rich history stretching back over 125 years. It is one of Scotland's leading cultural institutions, and an orchestra with a variety of work that is almost unparalleled amongst its British peers. Scots Fiddle Festival - The Scots Fiddle Festival was launched in 1996 with the aim to promote and sustain traditional fiddle music. The festival brings people together from all over the world, both performers and audience members and continues to inspire thousands of people to enjoy and take part in traditional music each year. Scottish Book Trust - The Scottish Book Trust is a national charity that believes books, reading and writing have the power to change lives. A love of reading inspires creativity, improves employment opportunities, mental health and wellbeing, and is one of the most effective ways to help children escape the poverty cycle. Scottish Chamber Orchestra - The internationally celebrated Scottish Chamber Orchestra (SCO) is made up of a unique collection of talented musicians who inspire and connect with people of all ages. The SCO's aim to provide as many opportunities as possible for people to hear live orchestral music by touring the length and breadth of Scotland and around the world as proud ambassadors for Scottish cultural excellence. The SCO makes a significant contribution to Scottish life both on the concert platform and beyond, working in schools, universities, hospitals, care homes, places of work and community centres through the SCO Connect creative learning programme. Scottish Indian Arts Forum - The Scottish Indian Arts Forum has been promoting Indian culture and arts, in and around Edinburgh, through different music and dance events around key Indian festivals since its inception in August 1994. Scottish Poetry Library - The Scottish Poetry Library is a unique national resource and advocate for the art of poetry, and Scottish poetry in particular. They are passionately committed to bringing the pleasures and benefits of poetry to as wide an audience as possible. Stills Gallery - Stills is a centre for photography based in the heart of Edinburgh. They offer exhibitions and production facilities as well as a range of engagement opportunities for anyone to discover, enjoy and understand photography. Stills was established in 1977 and since that time it has become a champion for the important and powerful role that the medium of photography plays in the world today. TRACS - Traditional Arts and Culture Scotland was set up in 2012 to represent Traditional Arts in Scotland. It brings together the Traditional Music Forum, the Scottish Storytelling Forum and the Traditional Dance Forum of Scotland to provide a common platform and collective voice for all working in this field. TRACS is based at the Scottish Storytelling Centre where it supports a year round programme of arts activities, as well as the annual Scottish International Storytelling Festival. Traverse Theatre - The Traverse is Scotland’s foremost theatre company dedicated to new writing. They champion creative talent by placing powerful and contemporary theatre at the heart of cultural life – producing and programming urgent and diverse work spanning theatre, dance, performance, music and spoken word. Waverley Care Arts Project - Waverley Care is Scotland’s HIV and Hepatitis C charity. They are a community of diverse and inspiring people united by the same goal - to make a positive difference in the lives of people living with or affected by HIV or Hepatitis C in Scotland. The arts project contributes alongside Waverley Care projects in supporting people living with HIV/Hepatitis C to live a better quality of life as they live a longer life. The arts project provides a wide range of therapeutic tools to support people to feel accepted and included and to address the barriers to fulfilling their potential.